Ashcroft brings over 30 years of experience as a supply chain operations and business development professional. Jim Tompkins, CEO of MonarchFx and Tompkins International, is pleased to announce Jeff Ashcroft has been appointed as Vice President of Business Development for MonarchFx. Ashcroft brings over 30 years of experience as a supply chain operations and business development professional. 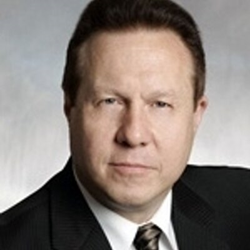 He has been leading business development efforts through leveraging both direct client relationships and the development of key partners in target sectors and markets such as Retail, Banking, and Government in Canada, the United States, and beyond. As a leader of Retail and eCommerce business development and strategy, Ashcroft has developed a vision for the Retail and eCommerce markets refining and delivering omni-channel concepts to clients. Before joining MonarchFx, Ashcroft worked with many other business development teams including Tangentia, SCI Logistics, Constellation Research, Supply Chain Network, PricewaterhouseCoopers LLP, Tibbett & Britten Group, and Hudson’s Bay Company. Ashcroft holds a Bachelor of Arts in English from the University of Toronto. Ashcroft was selected as a judge for IBM Smarter Commerce Global Awards, named second most influential person in Supply Chain and Sustainability globally by the SAP Community Network, and was named by IBM globally as one of 24 IBM Futurists for commerce and now IBM’s #1 New Way to Engage Influencer. MonarchFx is the coming together of world class supply chain and logistics companies with world class sellers of products to form a reinvented logistics ecosystem that is new, smart, and innovative. MonarchFx offers a local automated fulfillment network and local/regional final delivery services at a competitive price, providing great customer service. The vision of MonarchFx is to be the preferred direct-to-consumer logistics provider, operating with the lowest cost, while delivering the highest levels of customer service, and providing superior value for MonarchFx sellers. The mission of MonarchFx is to create, build, and manage a substantial logistics ecosystem that establishes MonarchFx partners to become the preferred unichannel logistics solution in the United States. For more information about MonarchFx, visit: http://www.monarchfxgo.com. A supply chain consulting and implementation firm that maximizes supply chain performance and value creation. We enable clients to be more profitable and valuable, while also becoming more agile, flexible, and adaptive to the marketplace. Tompkins collaborates with client teams to develop improved operations strategies, supply chain planning, and execution across all the Mega Processes of supply chains (PLAN-BUY-MAKE-MOVE-DISTRIBUTE-SELL). Tompkins is headquartered in Raleigh, NC and has offices throughout North America and in Europe and Asia. For more information, visit: http://www.tompkinsinc.com.